Happy Leap Day! What are you going to do with your extra day? Did you know that if we didn’t have leap years today’s date would be July 15, 2017? Leap day, slows time down, something it seems we never do. It is pretty easy to let this day go by with not much of a thought. Just another busy Monday with plenty of things to get done. What if instead you took some time today to slow down? For the 65 million caregivers in the US, providing care for their chronically ill loved one, the need to take some time to slow down and rest cannot be emphasized enough. The care needs of the family caregiver are often ignored in the hustle and bustle of everyday life. Yet, in order to provide the best care for their loved one, caregivers must take the time to care for themselves as well. This leap day, what if you asked for help? Asking for help is not easy, but your job as family caregiver is far from easy. Asking for help is a brave first step in caring for yourself and for your senior loved one. You could start by calling a neighbor, a family member, or a friend to come over for a couple hours so you can take some much needed time to slow down. Or you can contact a local senior home care company to provide you with the time you need. What if you took some time today to slow down and rest? 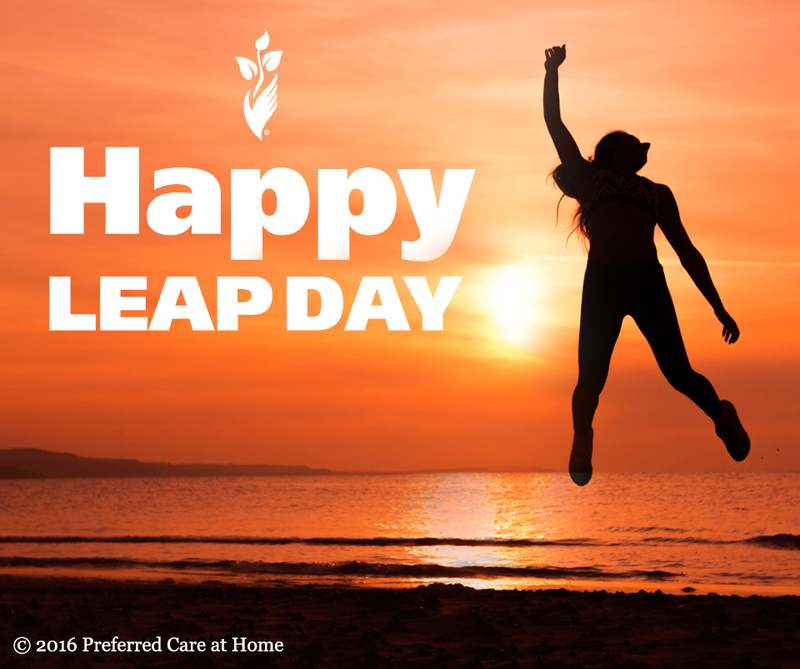 What if you asked for help this leap day?